IELTS Express is a two-level preparation course for students at Intermediate (4 – 5.5) and Upper Intermediate (5.5 – 7) levels. 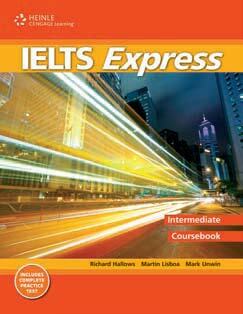 This popular IELTS preparation course has been completely revised. The Student’s Book has been redesigned and almost all of the photographs, graphs and charts have been replaced. All of the reading and listening texts have been updated or are new.